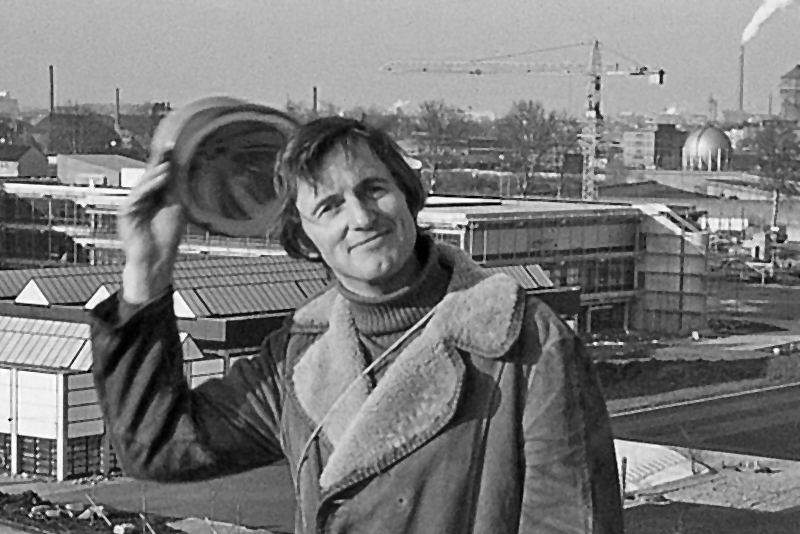 Ian Liddell began his career with Ove Arup and Partners working on the design for the roof of the Sydney Opera House. 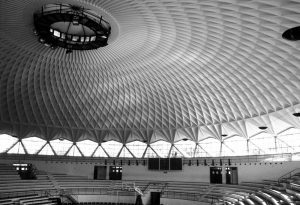 He was the project engineer for the iconic timber gridshell structure for the Mannheim BGS multihalle. He became involved with engineering tensioned fabric structures in the early days of this technology and he had the good fortune to meet many interesting engineers like Frei Otto and Walter Bird. 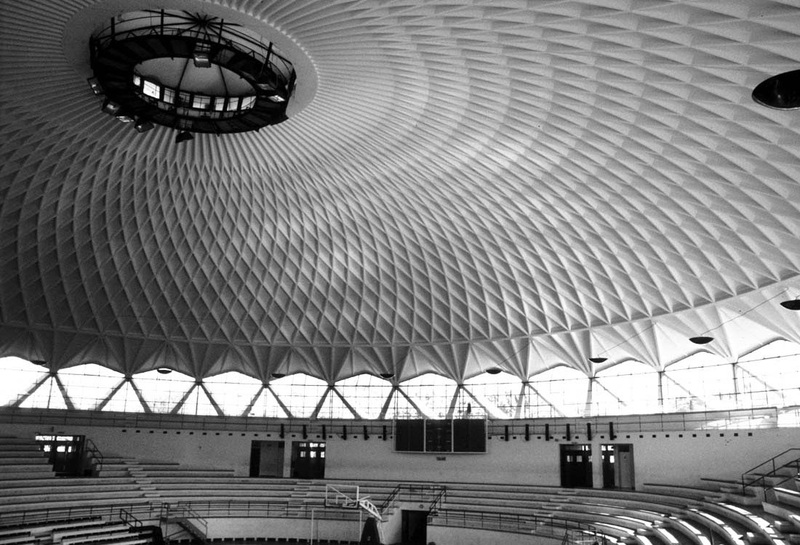 His last fabric structure was the Millennium Dome. He was a founding partner of BuroHappold along with Ted Happold, and before the group left Arup on 1st May 1976, he bought a house in St James’s Square that housed the whole firm for their first few months. His now wife, Suzie, looked after admin on the office, and as the only paid member of staff bought most of the wine and food for their suppers. His commitment to education has continued, and he currently serves as a Royal Academy Visiting Professor of Engineering Design at Cambridge University. He is also a Fellow of the Royal Academy of Engineering, a Fellow of the Institution of Structural Engineers and a member of the Institution of Civil Engineers. Ian’s outstanding contribution to engineering was recognised when he was awarded with a CBE in 2000. Outside of building engineering his main interest has been with sailing boats and he has been President of the Cambridge University Cruising Club (they mostly do Team Racing) for about 10 years. Ian has been a trustee of the Happold Foundation since its work first started in the 1990s. Digital farming is transforming food production, reducing the need for pesticides and weed killers and with field mapping by drones is making the use of fertilizers more efficient. 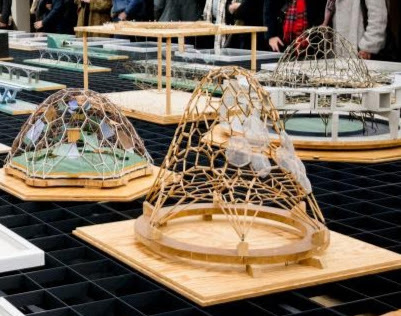 “The Work of Frei Otto”. MOMA NY, 1972. Contains pictures of Otto’s work which was based on equilibrium form-finding of surface stressed structures. Otto’s last projects were culture clashes with the impact of computer-generated geometry used by his collaborating architects. 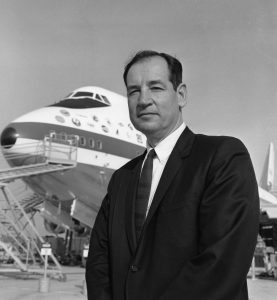 Clive Irving, “Wide Body, The making of the 747”.An amazing leap in technology in 1966 that nearly bankrupted Boeing. It went into service in 1970 and 46 years later is still the most used aircraft in the world. I recently heard that Joe Sutter below is still alive and occasionally comes into the office provided there are no finance guys present. First to Fly – James Tobin John Murray 2003 Tells the story of the Wright Brothers development of powered flight. Around the year 1900 there was a number of people around the world grappling with the task of powered flight. 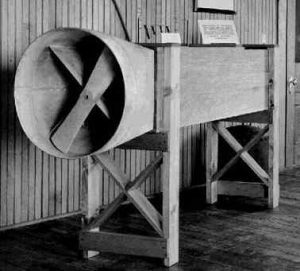 In America there was Samuel Langley, a prominent scientist and head of the Smithsonian Institute who was running a well funded programme in Washington and the Wright Brothers from Dayton, Ohio who ran a cycle building shop. The Wright brothers were self-funded and self-taught. They built a small wind tunnel to measure the lift and drag of wing sections. Patiently they tried out ideas for gliders, developed a suitable engine and propellers. The key to their success was that they realised that they had to have control of the craft about three axes, lift, yaw and roll. The last they dealt with by wing-warping which on their light flexible biplane could be achieved by pulling on wires. 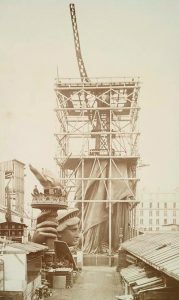 By the time they flew their craft around the Statue of Liberty they realised that wing warping was not going to be the future of flying and while their achievement was recognised but their later life was troubled with vexatious law suits.